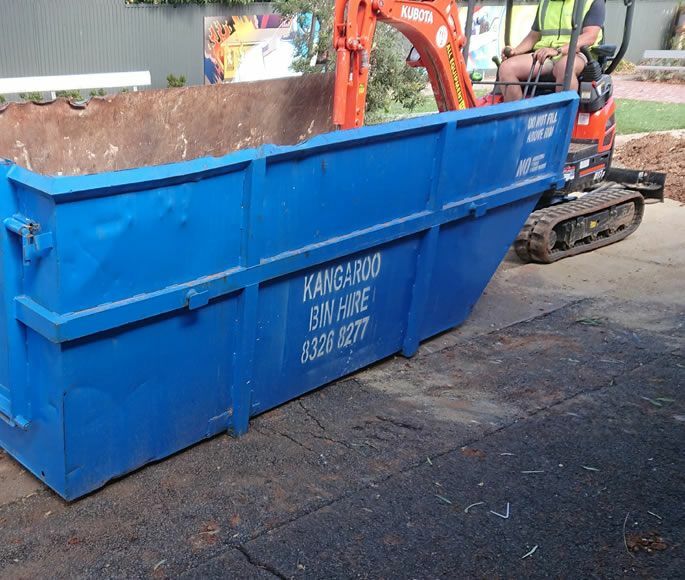 Kangaroo Bin Hire has been providing reliable skip bin hire around Adelaide for more than 27 years. We efficiently cover all areas of metropolitan Adelaide, including outer surrounding areas. To discuss your rubbish disposal options for a range of materials and skip bins Adelaide, please contact us today. Copyright © 2018 Kangaroo Bin Hire Pty. Ltd, All Rights Reserved.